Eddie Higgins had a very long and fruitful career since the 1950s, but he perhaps remained a connoisseur's pianist in the US. Not so in Japan. Independent label Venus Records issued this "debut" album in 1997 and he became an overnight sensation. Elegant and swinging, accessible yet artistic, Higgins' piano play here is truly exceptional, with wonderful support from veterans Ray Drummond and Ben Riley. 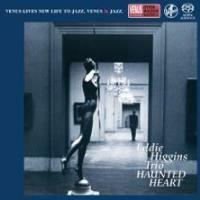 After the phenomenal success of this CD, Higgins went on to make many, many albums for Venus Records and became one of the most popular jazz pianists in Japan. Recorded at Clinton Studio, New York, on June 28, 1997. Gate-fold paper sleeve edition. Single Layer SACD.